Award-winning Celcius Coffee sprang from husband and wife Steph and Nick Fry's shared passion for great coffee and their desire to run a sustainable business. Like so many kiwi businesses, we started out from humble beginnings. We were fortunate enough to buy a small coffee business at the end of 2004. We set up the small operation in our garage - yep, the 'good old Kiwi start up in the garage'! The business was purchasing a small amount of contracted roasted coffee from roaster up North. We bagged up the coffee and then sold it to our customers, under our brand Pure Coffee. We were never really particularly happy with this contract roasting arrangement, as we never had the desired control over our coffee. It was a good starting point though. After about 18 months and with a bit of experience, we began a process of researching all things coffee. We listened to coffee experts, we listened to our small base of customers, we read books, took courses, refined our coffee making skills and over time, developed a wide network of suppliers and support staff. By the end of 2006, we decided it was time to start roasting ourselves. We had amassed a wealth of expertise, we had a clear vision for our business and for the very special coffees we would bring to the market. Four months and a name change later, the Celcius Coffee Roastery was up and running! This was where all the passion and preparation came together, creating coffees so good we believe coffee drinkers will register them among their great coffee experiences. As you can imagine, the process to develop great coffee is a lengthy one, which requires dedication and continuous refinement. First our team sampled many single origin coffees selecting those of the highest quality and possessing the characteristics we were searching for. Then came painstaking experimentation with blending and roasting, working towards the precise requirements envisaged for that coffee blend - perhaps full bodied with dark chocolate flavours or sweet and vibrant - we were on a roll! The process of refining never stops, factors such as climate changes and growing conditions continually affect the flavour of the beans and every now and then, we are told we cannot even get one of the beans we use; which means we need to draw on all our knowledge and experience and get creative; to ensure the blends remain true to their original profile. The success of our approach to coffee became evident just four months after deciding to start roasting our own coffee, when in 2007, we sent our Firehouse blend to the NZ Coffee Awards and won a bronze medal in the flat white category! What a coup! Since then we have won a further 9 other medals at the New Zealand Coffee Awards. 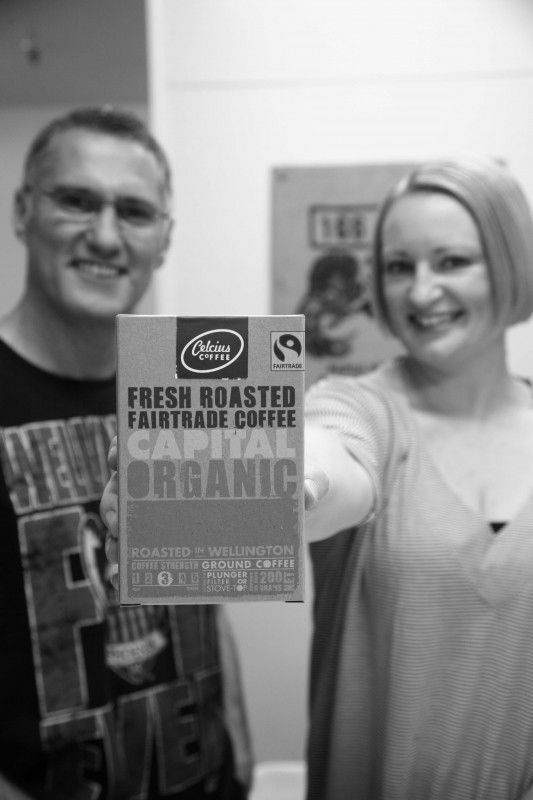 We've been in business for 10 years, roasting award winning, 100% organic and fair trade coffee from our Lower Hutt base. We remain a small business so we can focus on our customers needs.